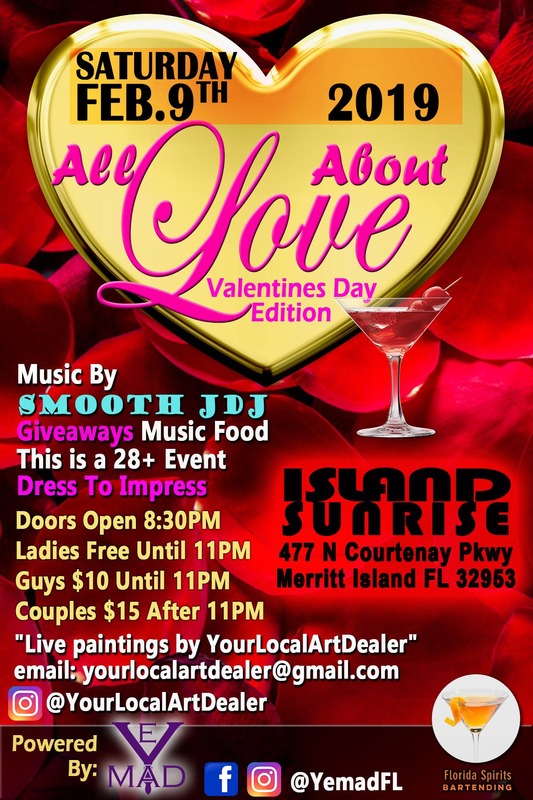 "All About Love" Valentines Day Edition Party. February 9, 2019 Come out for a nice time. This event is 28+, also Dress To Impress. Ladies are free until 11pm. Guys are $10 until 11pm. Couples and General Admission are just $15 after 11pm. Music is By: Smooth JDJ. "Live Painting by @YourLocalArtDealer ". Food, Giveaways, One Free Happy Hour, and surprises in store.